"Rupee has only depreciated seven percent in the last five years. This is the best period for the Indian rupee. It's a golden run," said Union Railways minister, Piyush Goyal while speaking at the Hindustan Times Leadership Summit on Friday. This comment comes at a point when the rupee is sniffing the 75-mark against the US dollar and when all of the supposedly confidence-inspiring measures by the government and the Reserve Bank of India (RBI) and political statements intended to ‘talk up’ the rupee have fallen flat. A free falling rupee is creating unending jitters in the equity and bond markets. 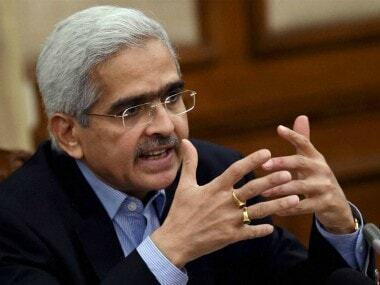 The decision of the Monetary Policy Committee (MPC) last week to retain the interest rates, contrary to the widely expected rate hike to support the rupee, added to the panic situation. But, despite all this, if one senior minister in the central government, who also briefly handled the finance ministry, wants to play down the rupee crisis and even call the rupee’s steady downfall over the recent years a period of ‘golden run’, it can be, at best, considered a cruel joke. It also gives one a sense that the government is yet to grasp the depths of the problem and believes in mere optics. In fact, Goyal is pretending not to see the larger trend in the rupee market over the last five years. Let’s look closer. 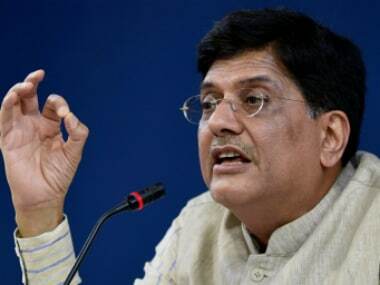 The seven percent drop Goyal is talking about is based on the rupee value in 2013 when the currency traded at a low of 68.86 per dollar in 2013 and comparing it with the rupee’s last week low of 74 against dollar. This is nothing but the art of selectively picking numbers. The correct comparison, that is if one wants to study how the rupee behaved under the Narendra Modi-government’s tenure, is to compare the levels between when the Bharatiya Janata Party (BJP) got a huge public mandate and the current all-time low record of the Indian currency. On 16 May, 2014, the rupee was trading at 58.78 and since then the currency has lost 26.2 percent to fall to the all-time low of 74.22 against dollar. 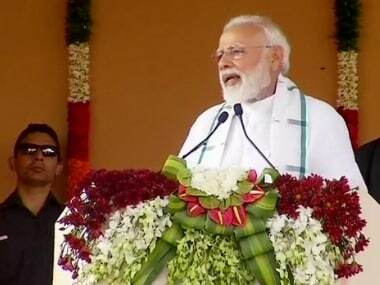 On 26 May - the day Narendra Modi took oath as prime minister, the rupee was trading at 58.71 against the dollar and since then it has lost 26.4 percent. So, clearly, the Indian currency hasn’t had a ‘golden run’ as Goyal has claimed. 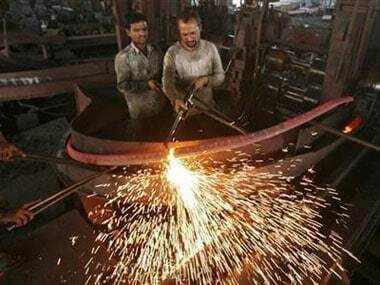 Picking the 2013 figures and playing down the rupee crisis will not earn any brownie points for the government. The better way would be to acknowledge the problem and explain ways to resolve it to add confidence to the markets. In fact, this is the same mistake the BJP did on the fuel price issue too, when it recently circulated an infographic to play down the fuel price hikes. The bar chart wanted to show the percentage increase in fuel prices during the UPA era as being higher than in the NDA era — which is correct. However, by putting a lower bar to show a higher price, the graphics appeared ridiculous and was conceived as if to give a false impression to the audience that there is actually a decline in fuel prices during the Narendra Modi government's tenure. The misrepresentation was called out by the Opposition parties and social media users. This too, like the rupee golden run, was a cruel joke on the common man who is reeling under the pressure of high fuel prices. Also, Goyal needs to introspect if the rupee is indeed having a ‘golden run’, why did the government feel the need to come with a bailout package to save the currency? Recently, the government announced five measures to encourage foreign fund flows to the domestic market through a range of instruments such as relaxed external commercial borrowing (ECB) norms, FPI (foreign portfolio investments), Masala bonds and other measures to push exports. The government did what it could, though none of it has worked so far to inspire the confidence of investors. That’s because the reason for the rupee’s free fall has more to do with external factors rather than on account of domestic fundamentals and capital account problems. Hence the measures failed to cheer the markets. By pretending that there is no rupee crisis doesn’t mean there is none. The problem is real. But this seems to be the approach taken by Narendra Modi government’s senior ministers and highly-placed bureaucrats, with the possible exception of Union Transport Minister Nitin Gadkari, who seems to be more realistic about the situation. In fact, this is the time when the Narendra Modi-government needs to brace itself for more rupee shocks. With crude price continuing to fly high, the Reserve Bank of India’s stance on the rupee and an expected rate hike in the US will likely put pressure on the rupee to cross the 75 per dollar mark, warn experts. The biggest mistake in the hour of a crisis is not to acknowledge it and even pretend there is no crisis. By doing that, doors are being shut for possible solutions. That would be a cardinal mistake.